Life out there is constantly changing. Bright Side made a list of the latest inventions that will make the world around us more clean, safe, and kind. There is also a special bonus for ladies at the end. That’s not even solar roofs we are talking about — that’s roads made of solar panels. Covered in a silicon-based resin that can withstand the weight of passing big rigs, they generate enough electricity to power the street lights. They are probably not very efficient right now, but this is surely just the beginning. This device consists of floating beams and platforms and was designed to clean up the plastic garbage in the ocean. Its guiding principle is passivity: rather than chasing trash all over the sea, it harnesses ocean currents and wind patterns that circulate plastic naturally. They expect the array to pull in 42% of the estimated garbage in the North Pacific Gyre in 5 years, making the oceans cleaner and safer. “You don’t need to reinvent the wheel,“ they said. ”We just did," answered Goodyear, presenting a spherical tire that allows cars to move in many new ­directions, including sideways into a parallel parking space and at specific angles and speeds. The 3D printer is a prominent invention itself, but what these 2 companies do is really admirable. The Walt Disney Company is generously providing royalty-free licenses to Open Bionics, a company that 3D prints kids’ prosthetic arms in different designs. This idea sounds so simple that you will ask why no one came up with it before. 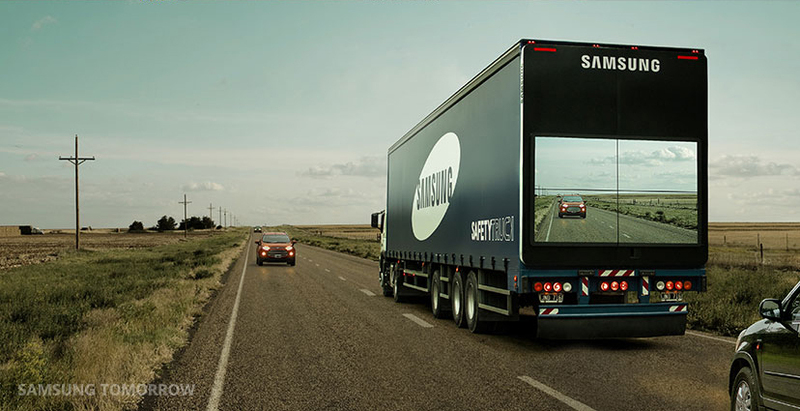 It’s a system that relays video footage from the front of a truck to 4 screens on its back, giving drivers a clear view of what’s ahead. This feature is a must in many countries with winding and narrow roads. It’s not only decoration and a source of oxygen. Installed outside, they process heavy metals, filter harmful gases, and catch dust. Inside, they can be used as real farms to grow herbs or simple veggies. This small but very important medical device maintains an adequate heart rate when a natural pacemaker doesn’t work properly. The latest models are roughly the size and shape of a pill and can be inserted via a leg catheter rather than invasive surgery. No more crouching over an unsanitary public toilet! This device is made of medical grade silicone and allows girls to urinate while standing up. Neat, discreet, and hygienic. This is what feminist victory looks like nowadays.